A mesh Zenergy Ball Chair will brighten your office and keep you cool. The breathable fabric upholstery is available in a choice of vibrant hues. 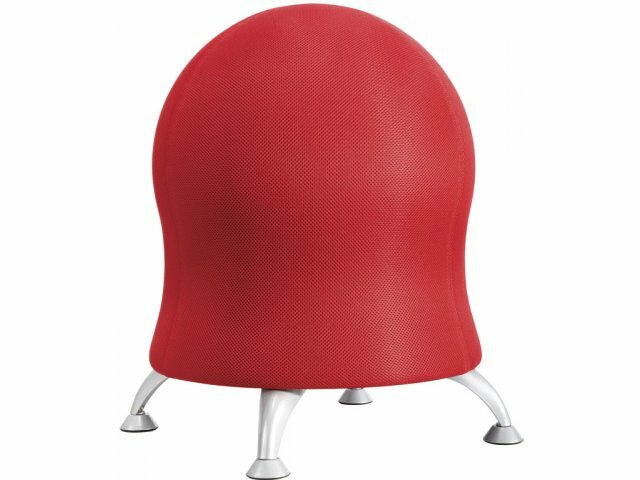 Add some bounce to your day with the Zenergy Ball Chair from Safco. With a modern ergonomic design and a fun, spunky attitude, this exercise ball chair will bring your seating experience to life. An anti-burst exercise ball facilitates comfort and movement, so professionals can concentrate on the task at hand while improving their posture and balance. Movement keeps the mind open while the body is actively engaged, strengthening core muscles and allowing natural fidgeting. 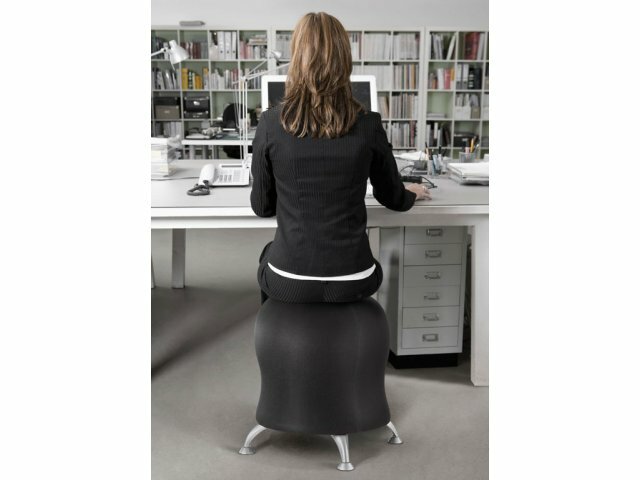 The Zenergy Ball Chair is designed for maximum convenience. Four sleek legs let you enjoy the benefits of sitting on an exercise ball, without having to worry about it rolling away. To maximize the bounce in this exercise ball chair, all you need to do is pump it up (pump included), and it will be as good as new. Breathable Upholstery: Durable mesh polyester fabric feels great and provides ventilation. Vibrant Selection: Available in a choice of colors. 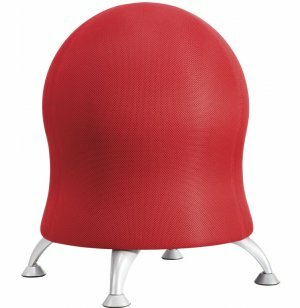 Ergonomic Seating: Ball chairs promote natural fidgeting and proper posture. Alluring Appearance: A cheerful shape adds flair to the office. 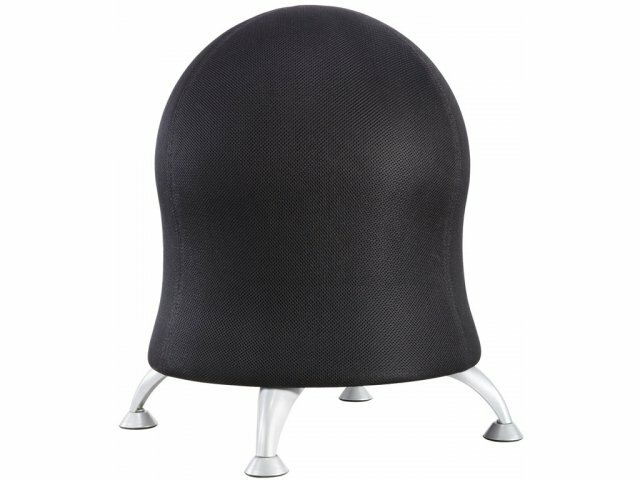 Enduring Elasticity: An anti-burst PVC exercise ball gives each chair a dynamic bounce. Easy Maintenance: Each chair includes a pump for quick filling when necessary. Stylish Support: Stands on a polypropylene base and four powder-coated steel legs, which accent upholstery for an out-of-this-world appeal.